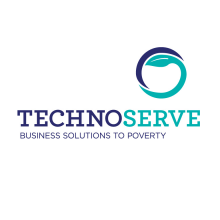 TechnoServe helps entrepreneurial men and women in poor areas of the developing world to build businesses that create income, opportunity and economic growth for their families, their communities and their countries. TechnoServe is an international non-profit business development organization headquartered in Washington, DC. Since 1968, TechnoServe has successfully used a private enterprise approach to assist low-income people in the developing world to build and strengthen sustainable agriculture-based businesses, and industries and help catalyze competitive, market-led agricultural development.